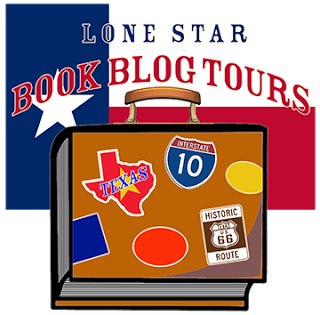 Hall Ways Blog: The Widow's Watcher ~ Lone Star Book Blog Tours Promo, Review, & Giveaway! The Widow's Watcher ~ Lone Star Book Blog Tours Promo, Review, & Giveaway! Living in the shadow of a decades-old crime that stole his children from him, reclusive Lars Jorgensen is an unlikely savior. But when a stranger walks onto the ice of a frozen Minnesota lake, her intentions are brutally clear, and the old man isn’t about to let her follow through. Jenna Shaw didn’t ask for Lars’s help, nor does she want it. After he pulls her from the brink, however, Jenna finds her desire to give up challenged by their unlikely friendship. In Jenna, Lars recognizes his last chance for redemption. And in her quest to solve the mysteries of Lars’s past and bring him closure, Jenna may find the way out of her own darkness. But the truth that waits threatens to shatter it all. When secrets are surrendered and lies are laid bare, Jenna and Lars may find that accepting the past isn’t their greatest challenge. Can they afford the heartbreaking price of forgiveness? "There was a moment I had to tell myself that this is just a book..."
This meal, (oops! story! ), keeps reinventing itself and going in unexpected directions, which is one of many reasons it’s unputdownable. Readers are initially drawn-in to the banter between a mother and her teen aged daughter, then one single sentence zooms out and shows that things are not as they seem. Nothing is as it seems. No one is as he or she seems. 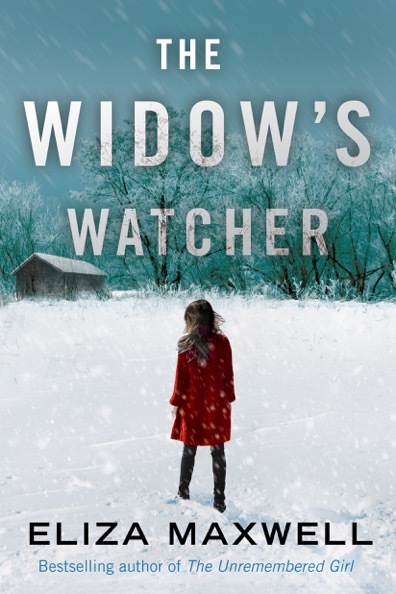 The real joy in reading The Widow’s Watcher is watching the story unfold via small, sometimes misleading reveals that take readers on a suspenseful and emotional journey from start to finish. "Is there anything so empty as something that's once been full?" Oh, the GUILT in this book. 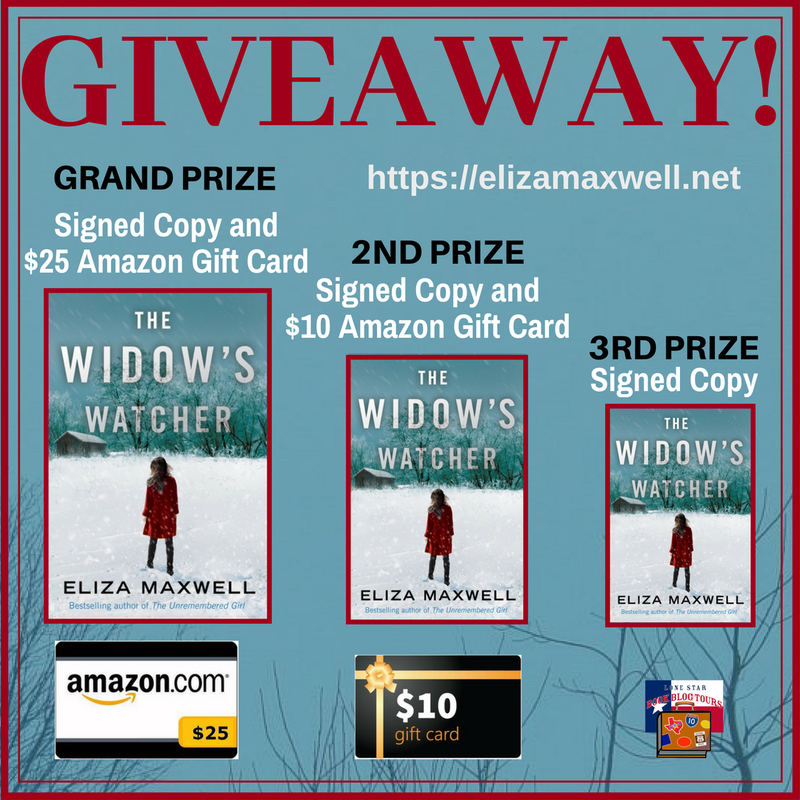 Guilt is such a driving force of human nature, and the richly drawn characters in The Widow’s Watcher are immersed in it. They feel guilt about what they’ve done in equal parts with what they haven’t done…or are going to do…or have thought about doing – or maybe didn’t really do at all. The pain of their guilt radiates from the characters and is exacerbated by the secrets they keep. Eliza Maxwell knows how to write secrets. "Forgiveness is hard. It's painful. It's giving when you've got nothing left to give, from places you can't afford to give anything else." 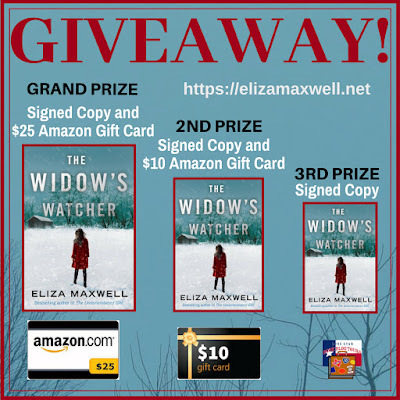 In what I would say is Eliza Maxwell’s trademark style, she creates complex characters who are ruled by the guilt they carry and the secrets they keep and who are their own worst enemies. Maxwell builds extraordinary, yet realistic relationships between the characters that allow readers to relate to them. These connections, both between characters but also between the reader and the characters, are powerful and make us feel invested in the characters’ lives. "Hope was a frightening thing to rekindle. As impossible to control as a wildfire on a dry plain." The Widow’s Watcher is powerful and poignant. Prepare to feel emotionally drained after you finish reading because this book puts readers through the wringer. It is at times profoundly sad, but there is a constant hopeful thread that weaves its way in and out of the sadness as the characters search for redemption and forgiveness they don’t know they are seeking. The writing is lovely and flows well with short chapters that allow for a quick read. There are some scattered SPAG errors, but none were enough to impact my enjoyment. As I did with The Grave Tender and The Unremembered Girl, I highly recommend reading The Widow’s Watcher for a smorgasbord of feelings that will leave you satisfyingly full but not in need of an antacid. Thank you to Lone Star Book Blog Tours and the author for providing me a beautiful print copy in exchange for my honest opinion – the only kind I give. Extra credit awarded: Yes, there is a library in the story and though I was initially bummed by the librarian’s attitude and *GASP* withholding of information, in keeping with the rest of the story, there is redemption. Double points awarded for one of my favorite sayings, "You can't judge a book by its cover...but you can judge a person by their books." Eliza Maxwell lives in Texas with her ever-patient husband and two kids. She's an artist and writer, an introvert and a British cop drama addict. She loves nothing more than to hear from readers. 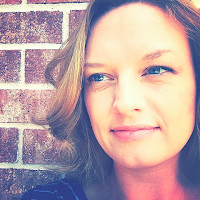 Harmon General Cover Reveal Blitz!